Three people have been left seriously injured after a passenger train derailed on a local railway in Austria. 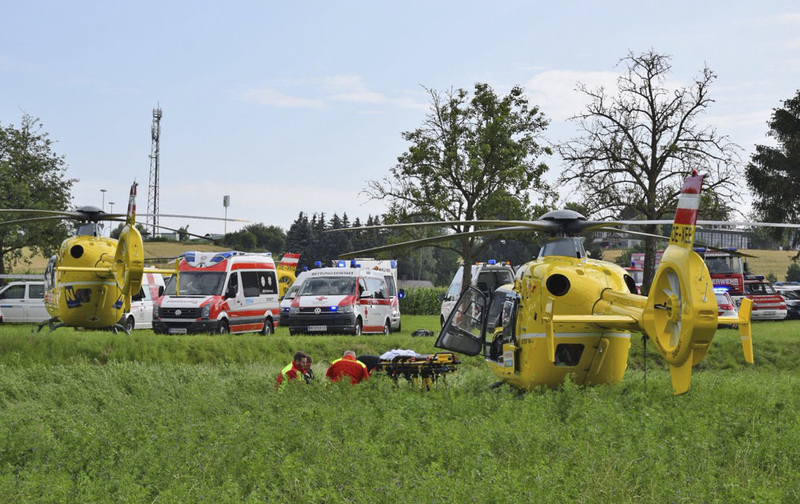 A further 27 people sustained light injuries in the derailment near St Poelten, west of Vienna, Red Cross official Sonja Kellner told the Austria Press Agency. The incident left two carriages lying on their side, with a third still on the tracks. Around 80 people were on board the train at 7.30am local time (6.30am BST) when the accident happened. Overheard wires were also brought down in the derailment. The train belongs to the Mariazellerbahn, a local narrow-gauge railway, and was headed to St Poelten.